Surveys suggest the presumptive Republican presidential candidate Donald Trump has a 50-50 chance of being elected leader of the free world later this year. Should he succeed I fear he will take America back from the future. His slogan, Make America Great Again seems to have caught the imagination of a large number of constituents, but I wonder if the country has really lost its way in the world to the extent Mr Trump and his followers consider it has. Many of his policies make some sort of sense and will certainly resonate with those who feel that they are losing traction in their personal lives, but his intention to abolish the free trade agreements like NAFTA and the TPPA would surely be a giant step backwards. With few exceptions global trading has certainly brought benefits to this country. For instance our cars used to be built up in England, knocked down, and then rebuilt in New Zealand. Far better to purchase them intact from their country of origin and then sell to that country some product that we make well, whether it be whey, wine or even Wilson’s Whisky. We can then enjoy the masterfully made models from those people whose craftsmanship is eugenic. 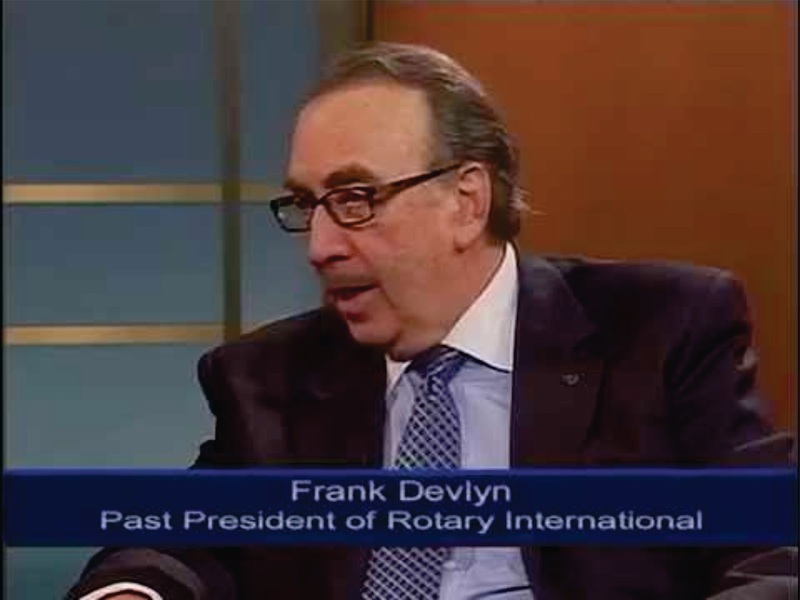 Old-fashioned values are fine in theory, but author and Past-President of Rotary International Frank Devlyn reckons we’re on the verge of ushering in the 4th industrial revolution. The world is likely to become more connected which will be an anathema to Mr Trump’s isolationist rhetoric. Devlyn believes software will disrupt most traditional industries in the next 5 to 10 years. Uber is just a software tool; they don’t own any cars and are now the biggest taxi company in the world. Airbnb is the biggest hotel company on the planet although they don’t own any properties. Because of ‘IBM Watson’ (look it up on Google) you can get legal advice within seconds with 90 percent accuracy compared with 70 per cent accuracy when done by humans. So Devlyn advises if you are studying law: “stop immediately.” There will be 90 percent less lawyers in the future, only specialists will remain. Same with the medical profession. The Tricorder X price will be announced later this year. There will be companies who will build this medical device that works from your phone, and takes your retina scan. It will analyse 54 biomarkers that will identify nearly any disease. It will be cheap, so in a few years everyone on earth will have access to world class medicine, almost for free. Devlyn talks of 3d printers, agricultural robots and autonomous electric cars that will pick you up and drive you to your destination. Built by Tesla, Google and Apple; the traditional car companies will disappear and road deaths will reduce dramatically. He believes electricity will become incredibly cheap as the price of solar power improves and there will access for all to world class education through cheaper smartphones. Much of this technology will have been initiated in the US which seems to indicate that it is still a great country. Devlyn is the CEO of The Devlyn Group. He is domiciled in Mexico. Mr. Trump’s wall could well mean that never the twain shall meet.